I am looking into the Hobie Revolution 16 as a possible replacement for my aging composite sit-inside sea kayak. It will be used primarily for coastal and off-shore day and overnight trips up in Casco Bay, Maine. I am an intermediate paddler, meaning I can roll and self-rescue but not necessarily gracefully, and not well enough to be comfortable going out on my own in rougher seas. I like the idea of the Hobie, specifically the Mirage drive for speed and efficiency and the sit-on-top aspect for safety. I'm a little wary of the poly build for weight and speed and the fishing angle for design elements I will never use, like the livewell. There is a dealer not far from me so I am going to go check the boat out in person, but I was interested in the communities thoughts on this being a general touring kayak and how well it stacks up against a traditional composite kayak for ocean paddling use. I've never used a sit-on-top boat before, so I am unfamiliar with self-rescues and such, although I assume it is easier given the extra stability and lower deck to pull up onto. I'm also not a super fast paddler but I like to cruise along at a good pace. I've read some reports that the Hobie doesn't glide along so well as a paddle boat, I assume simply because the fins are causing some amount of drag when not moving. Also, any must-have accessories that people would recommend? I have the turbo-fins, larger rudder and maybe the daggerboard on my list, and maybe the rubber mesh for the side pockets. I like the idea of the sail and the little electric motor and solar panel as future upgrades as well. Mulefire, welcome to the forum! I am no expert in SIKs but I think you will find the SOTs feeling quite a bit different. Because you (and your legs) sit higher, it will take a little time to feel the same degree of comfort in terms of roll stability, especially in sharp turns. The plastic hull is heavier, but whereas weight might be a transport factor (loading, etc), it doesn't matter much on the water. Additionally, rotomolded boats tend to have some small variation in hull shape precision which plays a small part in speed. Nevertheless, the Revo 16 is an excellent design and can easily cover 5.5+ miles in an hour (in relatively smooth water) with Turbofins -- quite competitive with just about any composite of similar length. IMO the Revo 16 handles offshore conditions and nasty weather well. It tends to slice through chop rather bob over it. Paddling, it tracks reasonably well, depending on whether you use the rudder, but does not edge for directional control (other Hobie models do). For accessories, my top three are standard Hobie scupper cart for minimal lifting (and insertion / extraction on the water), Turbofins for speed and acceleration, and large rudder for improved handling (turning, low speed operation, following seas, etc). Finally, you mentioned something about accessories and design considerations. Rest assured this boat was designed long before Hobie livewells came on the scene. That cargo well was designed more for touring than anything else. It seems to me that the primary question is whether you prefer paddling or pedaling. I suggest that you paddle a route in your current paddle kayak while monitoring your speed with a GPS, and then pedal the same route in a demo Hobie, again while monitoring your speed with a GPS. Think about whether you find paddling or pedaling to be more fun, less work, and/or faster. When beginner kayakers ask whether they should buy a recreational sit-inside kayak or a recreational sit-on-top kayak, I tell them to get a sit-on-top kayak, because it's a lot safer. 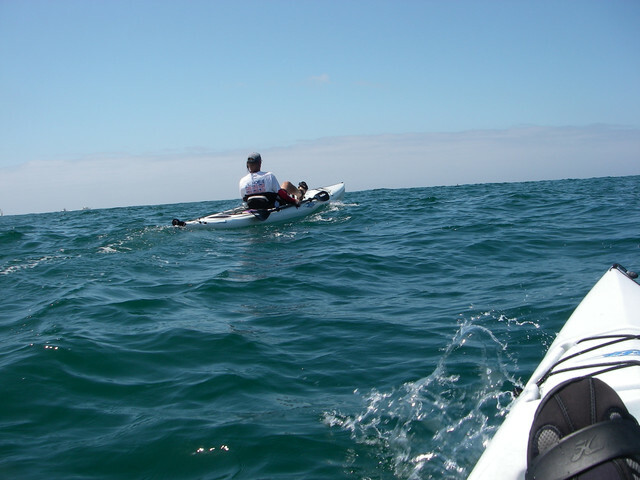 If the beginner tips over a sit-inside kayak when they are away from shore, they could be in a lot of trouble. They probably won't be able to get the kayak drained out and get back into it unless they have assistance from one or more experienced kayakers. If the beginner tips over a sit-on-top kayak, they can just flip it back upright, climb back on top of it, and paddle on. But if you can roll a sit-inside kayak, the self-rescue advantages of a sit-on-top kayak are less important. 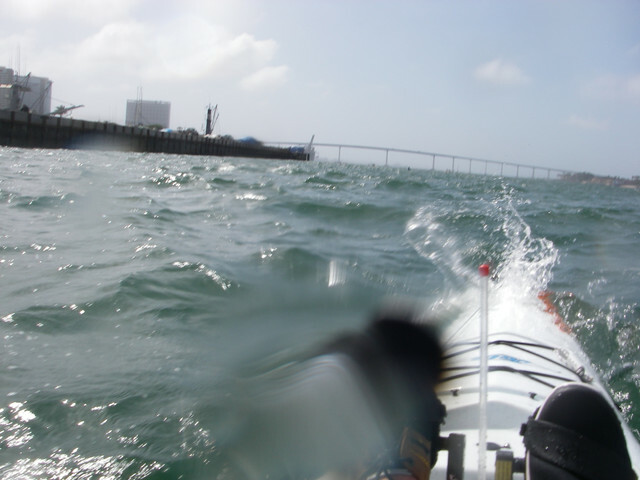 An advantage of paddle kayaks is that if weather and water conditions get rowdy, you can brace with your paddle. I'm a long-time whitewater kayaker, so when the weather gets wild or I'm going through a surf zone, I pull up my Mirage Drive and paddle. For fishing, I think that a pedal kayak is vastly superior to a paddle kayak, because you can pedal around while using both hands to fish, eat lunch, put on suntan lotion, or whatever. And for fishing, I think that a sit-on-top kayak is vastly superior to a sit-inside kayak, because you can mount fishing gear all over a sit-on-top kayak, and you can turn sideways in the kayak to get at gear in the rear cargo area. The revo 16 is the closest sit on top plastic kayak to a traditional touring kayak. Glass skis are closer. Keep in mind with pedalling you can't use your paddle for bracing and balancing.This limits how narrow you can go, and also cause potential feeling of instability. Thank you for the responses and all the good information, it is greatly appreciated! It sounds like it would be a great option so I am going to go demo one as soon as possible. I'll admit it is hard to look at a nice long carbon SIK and think about a plastic SOT, but I just really like the idea of the Hobie and want to give it a fair shake. It looks like a Dry Suit is more suited to a SOT than the Wet Suit I wear now. Do most users here wear Dry Suits and if so I presume the lighter ones with more flexible joints are preferred? For use of the sail the ama option is a good one. The shaft that holds them is bent so the amas can be lifted up out of the water by rotating the shaft. They also come off the boat in seconds. 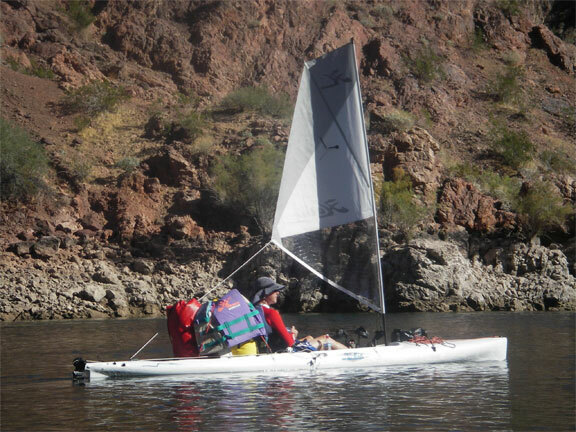 What is most different with the Hobie Mirage drive kayaks is that you are using your leg muscles for propulsion and I can go twice as fast with no more effort than paddling with an oar and I can go 3-4 times as far with no issues. 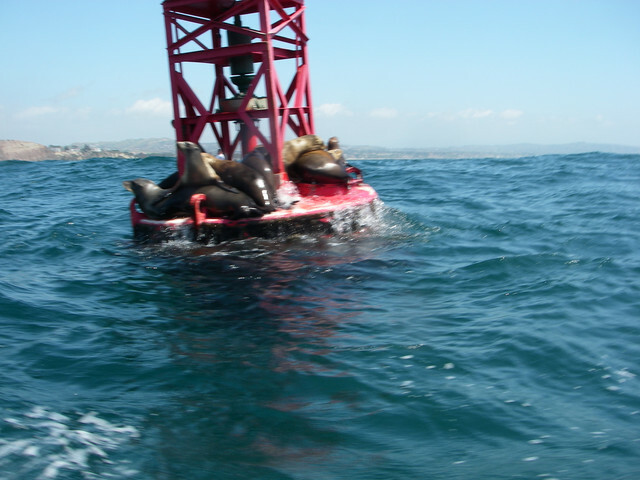 Always a good idea to have thermal protection when out in the ocean. I wear farmer john with 3mm neoprene. No need for a dry suit. All I need for immersion is a 3mm layer and I am out on water that is usually around 52-54 degrees. Diving underwater I use 9mm wetsuit in local waters and a drysuit for Canadian waters where temps are below 48 degrees.